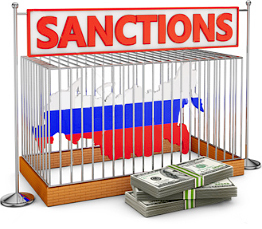 Anti-Russian sanctions continue to be imposed. Validity period for set of sanctions is elongating. Measures established by the USA and European Union now also concern Russian businessmen, government workers, some State Companies and big banks. There were involved banking sector, oil and gas industry, defense industry. Does it concern independent gasification? Indirectly it does. The rate of Russian ruble fell down, the rate of Euro increased – high quality equipment from Italy (reliable and durable gas tanks) became more expensive. This also happened with other European equipment. Home made equipment? The price for gas tanks made in Russia 60-70% increased comparing with autumn 2014 because sanctions provoked price increase for iron. Will sanctions against Russia disturb organization of independent gasification? No! Price increase for equipment doesn’t withdraw from “the agenda” the question of gasification for those who already constructed, is constructing or just is thinking to construct countryside house. Ultimate solution in case of the main pipeline gas absence is still independent gas supply. It is impossible to find proper substitution to independent gas today. Independent gasification let it be!